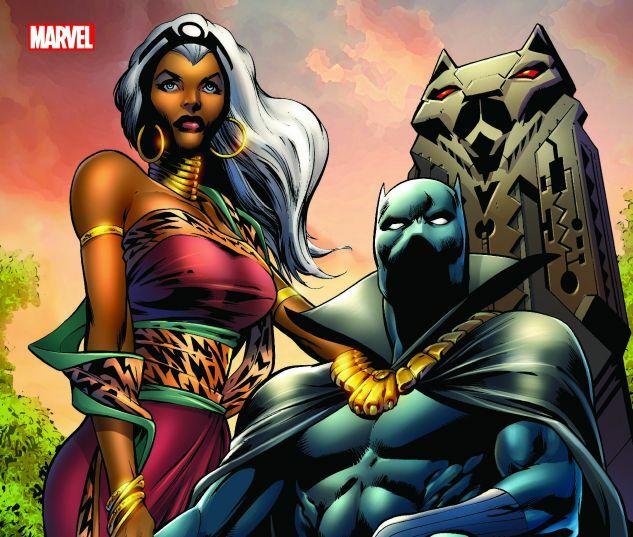 Reginald Hudlin’s run concludes, changing everything for the Black Panther! 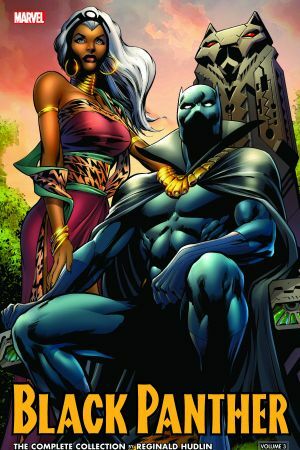 T’Challa and Ororo return to Wakanda — only to find that home is anything but sweet. With serious strife tearing apart his court, and one of his greatest foes waiting to strike, can T’Challa regain control of his kingdom? Plus: The Skrulls are coming, and that means all-out war! But there’s a reason Wakanda has never been conquered, and the Skrulls are about to find out why — the hard way! Then, in the wake of a devastating attack on T’Challa, a new Panther will prowl — and she’s badder than ever! Who will wear the cowl? And in a flashback to World War II, Captain America teams with T’Challa’s grandfather to battle Nazis! Collecting BLACK PANTHER (2005) #35-41, BLACK PANTHER (2009) #1-6, BLACK PANTHER/CAPTAIN AMERICA: FLAGS OF OUR FATHERS #1-4 and BLACK PANTHER SAGA.